We know that the transit time is vital for air cargo. Our experienced team carries out the analysis of all the details involved in the transport process and is able to transport your cargo in the shortest possible time, with security, speed and economy. Contracts with the main shipping companies in the world, ensuring precise transit times and regular departures, offering complete solutions in sea freight services, in its most diverse modalities: LCL (Less than Container Load), FCL (Full Container Load), Break Bulk and NVOCC (Non-Vessel Operating Commom Carrier). To transport your cargo with the agility that the globalized world demands, we offer combined means of transport. 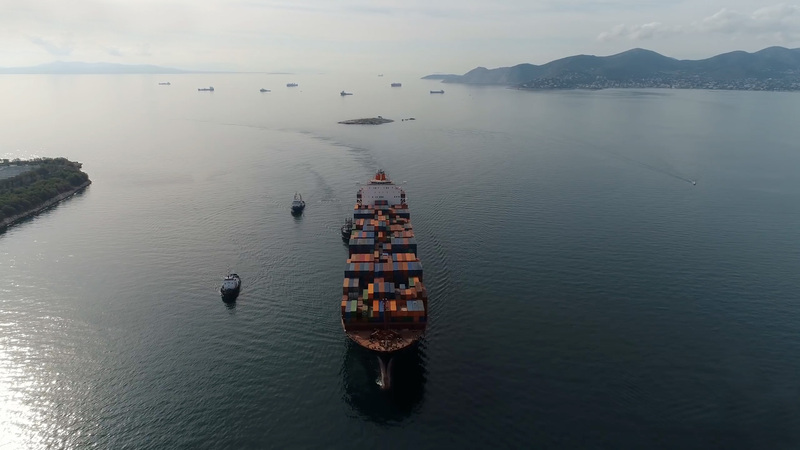 The sea / air service, available from Asia to Brazil, is an intermediate option between sea and air service, combining the low costs of ocean freight with the speed of air transportation. As we are dealing with a multimodal transport that requires specialization, we have the know-how of a team with extensive experience in this service. Customs advisory, a team able to meet all legal requirements regarding import and export process. Aware of our responsibility in the supply chain, we are able to offer. Specialized services with transportation deadlines defined, for cases in which there is urgency in the delivery or the load requires different treatment. Structured and competitive as the Global Players, but with the flexibility of smaller companies. With the experience and flexibility of Jet-Speed, your company has the necessary tranquility to grow increasingly. ÁFRICA DO SUL – Cape Town, Durban, East London e Port Elizabeth. ALEMANHA – Bremem e Hamburgo. ANGOLA – Lobito e Luanda. ANTILHAS – Castries, Kingstown, San Martin e St Vicent. ARÁBIA SAUDITA – Damman e Jeddah. AUTRÁLIA – Adelaide, Brisbane, Freematle, Melbourne e Sidney. BAHAMAS – Freeport e Nassau. BÉLGICA – Antuérpia e Ghent. CANADÁ – Montreal, St John’s, Toronto e Vancouver. CHILE – Antafogasta, Arice, Baia Concepción, Iquipe, Puente Arenas, San Antonio, Talcahuano e Valparaiso. CHINA – Chiwan, Chongqing, Dalian, Foshan, Fuzhou, Huangpu, Jiangmen, Nantong, Ningbo, Qingdao, Shanghai, Shantou, Shekou, Shunde, Wenzhou, Xiamen, Xingang, Yantian, Zongshan. COLÔMBIA – Berranquilla, Buenaventura, Cartagena e Snata Marta. CORÉIA DO SUL – Inchon e Pusan. COSTA DO MARFIM – Abidjan. COSTA RICA – Puerto Limon. DINAMARCA – Aarhus e Copenhagen. EL SALVADOR – San Salvador. EGITO – Alexandria e Port Said. EMIRADOS ÁRABES UNIDOS – Abu Dhabi, Dubai e Sharjan. ESPANHA – Algeciras, Alicante, Barcelona, Bilbao, Cadiz, Pasajes, Valência e Vigo. FRANÇA – La Havre, Marselha e Sete. GRÉCIA – Piraeus e Salônica. GUATALOUPE – Point a Pitre. GUATEMALA – Puerto Quetzal e Sto. Tomás da Castilla. GUINE BISAO – Bissau . HAITI – Port au Prince. HOLANDA – Amsterdam, Flushing e Flotterdam. HONG KONG – Hong Kong. ILHAS CANÁRIAS – Las Palmas e S. Cruz Tenerife. ILHAS MAURÍCIO – Port Louis. ÍNDIA – Nhva Sheva, Bombay, Pipavav, Tuticorin, Chennai, New Delhi. INDONÉSIA – Belawan, Jakarta, Semarang, Surabaya. INGLATERRA – Felixstowe, Hull, Liverpool, Londres, Manchester e Tilbury. ISRAEL – Ashdod e Haifa. ITÁLIA – Genova, Livorno, Nápoles, Salerno e Triste. JAPÃO – Kobe, Nagoya, Osaka, Tokyo e Yokohama. MALÁSIA – Pasir Gudang, Penang, Port Kelang. MARTINICA – Fort de France. MÉXICO – Altamira, Tampico e Veracruz. PANAMÁ – Balboa e Cristobal. PERU – Callao e Matarani. PORTO RICO – San Juan. PORTUGAL – Leixões e Lisboa. REP. DOMINICANA – Rio Haina e Santo Domingo. SÍRIA – Latakia e Tartous. SUÉCIA – Estocolmo, Gothemburg, Helsingborg e Malmoe. TAILÂNDIA – Bangkok, Laem, Chabang. TAIWAN – Keelung, Kaohsiung, Taichung, Taoyuan. TANZÂNIA – Dar as Salaam. TRINIDAD E TOBAGO – Port of Spain. TURQUIA – Istambul, Izmir e Mersin. USA – Baltimore, Boston, Brownsville, Charleston, Galveston, Houston, Jacksonville, Long Beach, Los Angeles, Miami, Mobile, New Orleans, New York, Nortolk, Oakland, Philadelphia, Port Everglades, Portland, San Francisco, Savannah , Seatlle, Tacoma, Tampa, e Wilmington. VENEZUELA – La Guaira, Maracaibo e Puerto Cabello. VIETNÃ – Haiphong, Ho Chi Minh. YEMEN – Aden e Hodeidah. Get to know the main airports of Brazil and the world. Dictionary of foreign trade and logistics. Click here to select the destination fields to get the distance between the main cities of Brazil. Get to know the main ports of Brazil and the world. Check out the time in the world. Sites important for imports and exports. Perform currency, weight and temperature conversions. JS Logística de Cargas Ltda (Jet Speed), with offices in São Paulo, Santos and Manaus, is the exclusive agent in Brazil of Jet Speed Logistics Ltda. Founded in Hong Kong in 1967, the company specializes in international freight forwarding and offers the best transport and logistics coordination solutions to companies wishing to reach the international market with high levels of excellence. Industries daily face the challenge of supply. Consumers and customers generally seek more and more agility in the negotiation and expect to have the product available as quickly as possible at the point of sale. To meet this supply chain, new technologies and solutions have emerged as strategic tools in the logistics operations of companies. Choosing the best one often means competitive advantage for the supplier. It´s at this time that efficient coordination in the handling of international cargo makes all the difference. Actions that makes it possible to meet the delivery deadline on the agreed date and reduce costs, resulting the maintenance of the entire chain and, consequently, success and profit in the business. Jet-Speed ​​acts in an agile and precise way in this coordination, presenting solutions that reduce the risks of possible problems. Our wide experience in the international market, together with an adequate organizational structure, allows us to compete with the main companies of the sector and work with more flexibility, allowing us to adjust our logistics solutions to the real needs of the clients. The goods are placed at the disposal of the buyer at the seller’s premises, or at another named place (factory, warehouse, etc. ), without being ready for export or loaded on any transport vehicle. In this term, the exporter terminates your participation in business when packing the goods on transport packaging (box, bag, etc.) and offers, within the time limit set in your own establishment. So, it is up to the foreign importer to adopt all the arrangements for withdrawal of the goods from the exporting establishment, internal transport, shipment abroad, licensing, freight contracts and international insurance, etc. The term “EXW” should not be used when the seller is not able to, directly or indirectly, obtain the necessary documents for export of the goods. As you can see, the buyer assumes all costs and risks involved in the transport of the goods from the place of origin to the destination. (Incoterms) Abbreviation for free carrier (named place). The Incoterm (delivery term) under which the seller is responsible for handing over the goods, cleared for export, to a transportation carrier named by the buyer at a named location, typically at either the seller’s facility or else the terminal of the buyer-nominated carrier or freight forwarder, typically within the country of export. If the FCA point is the seller’s facility, and loading the conveyance is essential to “handing over the goods,” the seller is responsible for the risk and expense of loading (if loading is not otherwise included in the carrier’s basic transportation charge). FCA, shipper’s facility, is the appropriate delivery term for situations in which the shipper will load an intermodal container, truck trailer, rail car, barge or other conveyance. The seller is not responsible for the cost of unloading the conveyance at the named destination point, nor for transfer of the goods to the on-carrier. For example, if the FCA point is an ocean carrier and/or inland waterway terminal (other than the seller’s own facility), the buyer is responsible for unloading the incoming FCA conveyance, inclusive of forklift charge or other expenses, and for loading the outgoing vessel (e.g., the terminal charges, or wharfage and handling charge, etc.). Under FCA terms, the seller has no obligation to insure the shipment. The Incoterm (delivery term) under which the seller is responsible for arranging transportation of the goods to a named ocean or inland waterway port and placing them “alongside” the vessel which the buyer has arranged to transport the goods. The seller is also responsible for export. For this reason, FAS terms require special coordination by the shipper or freight forwarder with the inland carrier and water carrier. Under FAS terms, the seller has no obligation to insure the shipment. This term is used for shipment via ocean and inland water transportation only and is different from FOB in that the seller is not responsible for placing the goods on the vessel. The Incoterm (trade term) under which the seller is responsible for arranging transportation of goods to a vessel named by the buyer at a named port, and for all costs of placing the goods on board the vessel if this not included in the ocean carrier’s basic transportation rate. The seller’s responsibility is satisfied when the cargo is “on-board” the vessel. The seller is not responsible for costs of actually stowing the goods on board, but is responsible for that portion of the terminal charges which cover services other than stowage and vessel wharfage charges. The seller is not responsible for the cost of ocean carriage, marine cargo insurance, nor for arranging the contract of carriage unless the buyer requests his assistance with this. This Incoterm may never be used alone; rather it must be clarified by stating a specific location, an, because of possible uncertainty as to mode the type of conveyance (e.g., “FOB vessel, Baltimore”). The Incoterm (delivery term) under which the seller is responsible for arranging and paying for transportation of the goods (but not shipping insurance) through to a named ocean/inland waterway destination port, typically in the destination country. Note, however, that the seller has fulfilled his obligation when he has tendered the goods to the transportation carrier who, under the contract of carriage, will accomplish this transportation to the named point. When the cargo is “on-board” the vessel, typically in the origin country, the risk of loss of the goods and/or unforeseeable costs transfers to the buyer. This Incoterm may be used only with ocean or inland waterway transportation for cargo delivered directly to the vessel (i.e., cargo shipped loose or in bulk, aboard a breakbulk vessel, ro-ro vessel, bulk vessel, etc. ); it is not used for cargo to be shipped in an intermodal container via a container vessel, where the correct term for delivery to a foreign port or inland container yard is CPT. The Incoterm (trade terms) under which the seller is responsible for arranging and paying for transportation of the goods and shipping insurance through to a named ocean or inland waterway destination port. Note, however, that the seller has fulfilled his obligation when he has tendered the goods to the transportation carrier who, under the contract of carriage, will accomplish this transportation to the named point. Once the cargo is “on-board” the vessel, typically in the origin country, the risk of loss of the goods and/or unforeseeable costs transfers to the buyer. Note that under Incoterms, CIF is used only for ocean or inland waterway shipment, and then only for cargo shipped loose or in bulk (e.g., via a breakbulk vessel, ro-ro vessel or bulk vessel), and not for cargo shipped in an intermodal container via a container vessel, where the CIP term is used for this other mode shipments where the seller is responsible for insuring and paying freight through to a named destination point/airport. The Incoterm (delivery term) under which the seller is responsible for arranging transportation and paying the freight for goods to a named point, typically in the destination country. Note, however, that the seller has fulfilled his obligation when he has tendered the goods to the transportation carrier who, under the contract of carriage, will accomplish this transportation to the named point. At this point, typically in the origin country, the buyer assumes the risk of loss of the goods and/or unforeseeable costs. This Incoterm may be used with any transportation mode, including through multimodal movements. Under CPT terms, the seller has no obligation to insure the shipment. The Incoterm (delivery term) under which the seller is responsible for arranging and paying for both the transportation of the goods and shipping insurance through to a named destination point, typically in the destination country. Note, however, that the seller has fulfilled his obligation when he has properly insured the goods and tendered them to the transportation carrier who, under the contract of carriage, will accomplish this transportation to the named point. At this point, typically in the origin country, the risk of loss of the goods and/or unforeseeable costs transfers to the buyer. The Incoterm (delivery term) under which the seller is responsible for delivering the goods, export cleared, to a named destination place, on-board the transportation conveyance, available (“at the disposal of the buyer”) for unloading by the buyer. Under DAP terms, the buyer assumes the cost and risk of unloading at the named destination place and for customs clearance. This term may be used with anytransportation mode, including through intermodal transportation, and for international as well as domestic sales transactions. The Incoterm (delivery term) under which the seller is responsible for delivering the goods, export cleared, to the carrier’s terminal at the named destination location, unloaded from the delivering conveyance, available for customs clearance and/or pick-up by the buyer. Under DAT terms, the seller assumes the cost and risk of unloading at the named destination terminal, where as the buyer is responsible for customs clearance. This term may be used with any transportation mode, including through intermodal transportation, and for international as well as domestic sales transactions. The Incoterm (delivery term) under which the seller is responsible for arranging transportation of the goods through to the buyer’s door, and pays all costs required to accomplish this, including customs clearance, customs duty, and taxes due upon importation. Under pre-1990 versions of Incoterms, and under American Foreign Trade Definitions, this is also known as free domicile or free house. Under DDP terms, the seller has no obligation to insure the shipment. This Incoterm may be used with any transportation mode or combination of modes. With an embrancing worldwide structure, supported by a network of partners in several countries, Jet-Speed ​​can offer companies better solutions in transportation and logistics. Click here to download the index with the distance between the main Brazilian cities. Acknowledgement of Receipt – A notification relating to the receipt of e.g. goods, messages and documents. ADR – Articles Dangereux de Route. European Agreement concerning the international carriage of dangerous goods by road. AFRMM – In addition to freight for Renewal of the merchant marine. Aladi (Associação Latino-Americana de Integração) – Congregation of countries that have as objective the establishment of a Latin American common market, made up of Argentina, Bolivia, Brazil:, Chile, Colombia, Cuba, Ecuador, Mexico, Paraguay, Peru, Uruguay and Venezuela. AWB – Air Waybill. A bill of lading for air transport that serves as a receipt for the shipper, indicates that the carrier has accepted the goods listed, obligates the carrier to carry the consignment to the airport of destination according to specified conditions. Back to Back – Consolidation of a single shipment in a MAWB (Master Air Waybill-Main Knowledge of air transport) covering a HAWB (House Air Waybill – air transport guide issued by a consignor). Barra – A safe Location near the port, where the ships wait for authorization to dock at the available wharf or determined. Ballast – Materials solely carried to improve the trim and the stability of the vessel. In vessels usually water is carried as ballast in tanks, specially designed for that purpose. B/L (Bill of Lading) – A document that a transportation company possesses acknowledging that it has received goods, and that temporarily serves as title during transport of the merchandise. BI-train or Trailer – is the set formed by the monolithic body with two axles and four wheels. Is locked in the back of the truck for transport, forming a set of two bodies pulled by one truck. Bonded Warehousing – A warehouse storage area or manufacturing facility in which imported goods may be stored or processed without payment of customs duties; payment of duties is deferred until the importer pays the duties or until Customs releases the merchandise. Break-Bulk – The separation of a consolidated bulk load into smaller individual shipments for delivery to the ultimate consignee. The freight may be moved intact inside the trailer, or it may be interchanged and rehandled to connecting carriers. Bulk Carrier – Ship suitable for the transportation of bulk cargos. Bulk Container – Shipping container designed for the carriage of free-flowing dry cargoes, which are loaded through hatchways in the roof of the container and discharged through hatchways at one end of the container. Business Logistics – Strategic, tactical and operational approaches and principles applied to increase the return on investment by developing the cost efficiency of the material flow, the return on capital in the material flow and the service to the customers. The BL-principles are the basis for development, planning, coordination and control of the material flow from raw material supplier to end customer. Cabotage – Is where cargo is carried on what is essentially a domestic flight and therefore not subject to international agreements that fix set rates. Cabotage rates are negotiable between shipper and airline and apply on flights within a country and to its overseas territories. CIDE – (Contribution on the Economic Domain) – charged on oil and oil products. CIF – Cost, Insurance and Freight. Cost of goods, marine insurance and all transportation (freight) charges are paid to the foreign point of delivery by the seller. Consignee – The individual or company to whom a seller or sipper sends merchandise and who, upon presentation of necessary documents, is recognized as merchandise owner for the purpose of declaring and paying customs duties. Cargo Consolidation – A number of separate shipments that are assembled into one shipment for movement on one waybill from one location to another. Consolidation of cargo can result in reduced shipping rates. Container – The term container means a single rigid, non-disposable dry cargo, insulated, temperature controlled flatrack, vehicle rack portable liquid tank, or open top container without wheels or bogies attached, having not less than 350 cubic feet capacity, having a closure or permanently hinged door that allows ready access to the cargo (closure or permanently hinged door not applicable to flatrack vehicle rack or portable liquid tank). All types of containers will have constructions, fittings and fastenings able to withstand without permanent distortion, all the stresses that may be applied in normal service use of continuous transportation. All containers must bear manufacturer’s specifications. CPT – Cariage Paid To. A Term of Sale which means the seller pays the freight for the carriage of the goods to the named destination. The risk of loss of or damage to the goods, as well as any additional costs due to events occurring after the time the goods have been delivered to the carrier, is transferred from the seller to the buyer when the goods have been delivered into the custody of the carrier. If subsequent carriers are used for the carriage to the agreed upon destination, the risk passes when the goods have been delivered to the first carrier. The CPT term requires the seller to clear the goods for export. Cubage – Cubic volume available for stocking or shipping. The cubic meter is calculated by multiplying the length by width and height. Customhouse Broker – A person or firm, licensed by the treasury department of their country when required, engaged in entering and clearing goods through Customs for a client (importer). Customs warehouse – Special regime allowing the importation of foreign goods for storage in public bonded, with suspension of the payment of taxes. Customs premises – Are places declared by the competent customs authority, in the primary zone or in the secondary zone, so that customs control, handling, storage and customs clearance may take place therein. Customs transit – A special customs regime that allows the transport of goods in the national territory, under customs control, from one point to another of the customs territory, with suspension of the payment of taxes. Derrick barge – Equipment used in ports to lift big heavy loads or materials. Draft – Expression in shipping, which means depth in which each ship is submerged in the water. Technically it is the distance from the water slide to the keel of the ship. Deck – First covered area of the ship. DAC – (Certified Customs Warehouse) – A special customs regime that allows the deposit, on a domestic market, under customs regime, of products already marketed with the outside, considered exported for all fiscal, credit and exchange effects. DDU – Delivered Duty Unpaid. Reflects the emergence of “door-to-door” intermodal or courier contracts or carriage where only the destination customs duty and taxes (if any) are paid by consignee. Demurrage or overstay – A penalty for exceeding free time allowed for loading or unloading at a pier or freight terminal. Also a charge for undue detention of transportation equipment or carriers in port while loading or unloading. DEQ – Delivered Ex QUAY. DI – (Import declaration) – Basic document of the import dispatch which must contain the importer’s identification, classification, customs value and origin of the merchandise, among other information. DSI – Simplified Import Declaration. Docks – It is the place where the goods are intermediate between the expedition and transport (several modes), in order to facilitate and streamline the operation of loading and unloading. Dredging – Excavation service in the access channels and docking areas of the ports for maintenance or increase of the depth. Draw-back – Repayment of any part of customs or excise duties previously collected on imported goods, when those goods are exported again. DSE – Simplified export declaration. Docker – DockEmployee who works at the loading andunloading of ships. EADI – Customs station of Interior. ELQ – Economic Logistic Quantity. EXW – Ex works. The goods are placed at the disposal of the buyer at the seller’s premises, or at another named place (factory, warehouse, etc. ), without being ready for export or loaded on any transport vehicle. FAS – Free Alongside Ship. The seller delivers the goods to the buyer at the side of the ship at the port of shipment. FCA – Free Carrier. The seller is exempt from responsability when delivering the goods to the agent indicated by the buyer or the carrier. Feeder – A vessel normally used for local or coastal transport (for carriage of cargo and/or containers) to and from ports not scheduled to be called by the main (ocean) vessel, directly connecting these ports to the main (ocean) vessel. Feeder Ship – Supply ships. FIO – Free In and Out. Transport condition denoting that the freight rate excludes the costs of loading and discharging and, if appropriate, stowage and lashing. Freight Collect – Freight and charges be paid by the consignee. Freight Forwarders – Cargo shipping company. An individual or company, acting on the behalf of a shipper, who arranges all necessary details of shipping and documentation for a manufacturer or exporter, which includes employing the services of a carrier of carriers. Freight Payable at Destination – Similar to freight collect, however, can only be paid at the destination. Freight Prepaid – Freight and charges to be paid by the consignor. HAWB (House Airway Bill) – An air waybill issued by a freight consolidator. Hinterland – The inland area served by a certain port. House – Expression that is used for container, indicating that it will be ovate or spawn in the house of the shipper or consignee. House Bill of Lading ou House B/L – Bill of lading issued by a freight forwarder (shipping company). IBC – Intermediate Bulk Container. Incoterms – A codification of terms used in foreign trade contracts that is maintained by the International Chamber of Commerce. Industrial warehouse under Customs Computerised Control – Allows the company to import inputs with tax suspension, under customs control, intended for industrial production of goods to be exported. Industrial warehouse under computerized control – Special regime that allows the company to import with suspended payment of taxes, under computerized control, goods to be submitted to the industrialization and subsequent export operation. Intermodal Transportation – Transportation that uses a specialized container that can be transferred from the vehicle of one mode to the vehicle of another; a single freight bill is used for the shipment. Example: Ocean shipping containers which can be hauled by trucks on chassis, railcars, ocean vessels, and barges. Just-in-Time ou JIT – Scheduled, sequenced delivery of parts and products designed to create a smooth flow of in-bound materials received at assembly and manufacturing plants. Kaizen – Process of continuous improvement, with good sense and low investment. Layday ou Laytime – The number of days allowed in a charter party for the loading and discharging of cargo. Lay days may be indicated in different ways e.g. consecutive days, working days, weather working days. L/C – Letter of Credit. LLP – Leading Logistics Provider. A logistics service provider that provides a wide range of logistics services often, though not exclusively, through the use of subcontracted logistics providers. Logisticcost – Is the sum of the cost of shipping, the cost of storage and maintenance cost of stock. Loading board – This is part of the operating rules of the ports, and means the minimum tonnage established that will be operated within a period of six hours. Luggage – Travellers’ baggage, suitcases, boxes etc., normally accompanied by a passenger. MAWB (Master Airway Bill) – Issued by the carrier to the airbill cargo Consolidator. Mercosur (Southern Common Market) – Aims at economic and commercial integration among its partners – Argentina, Brazil, Paraguay and Uruguay. Milk Run – Consists in the search of the product(s) directly by the supplier(s), on a scheduled basis, to meet your need. Modal – Types of transport. They are: maritime (made by sea), rail (made by railways), road (made by highways), waterway (by rivers) and Aviation (by air). Multimodal Transport – Is the integration of services from more than one mode of transport, used for a given load to cross the path between the sender and its recipient, among the various modalities existing, being only a single transport knowledge issued by the sole responsible for transportation, which is the OTM – Multimodal Transport Operator. NVOCC – Symbol indicative of Non-Vessel-Operating Common Carrier. An F.M.C. registered cargo consolidator of small shipments in ocean trade, generally soliciting business and arranging for or performing containerization functions at the port. These carriers issue their own bill of lading referred to as a house bill of lading. OTM – Multimodal transport operator. Outbound – Streams from the factory to the dealer. Port – Left side of the ship. Package – Any physical piece of cargo in relation to transport consisting of the contents and its packing for the purpose of ease of handling by manual or mechanical means. The final product of the packing operation consisting of the packing and its contents to facilitate manual or mechanical handling. Performance measurement – The comparison of the results of business processes with each other or with standards in order to know the effectiveness of these processes and/or the supportive actions. Packing List – A document prepared by the shipper that lists the kinds and quantities of merchandise in a particular shipment. A copy is generally sent to the consignee to aid in checking the shipment when received. Pre-Stacking – Pre-stacking of containers, to prepare them for shipment. Primary zone – Area demarcated by the customs authority at customs ports, airports and border points. RE (Export registration) – A document required by the U.S. Treasury Department and completed by a shipper indicating the contents, value, and destination of an export shipment. Reverse or Reverse Logistics – The recycling, and disposal of finished products, with the goal of conserving raw materials. Redex – Special Enclosure for Customs Clearance of Export. Reimportation – Means to bring back merchandise that has been exported temporarily. RES (Simplified Export Register) – Also called Simplex, it gathers in a single document the elements related to an export of value up to ten thousand dollars or its equivalent in other currencies. Samples without commercial value – Goods represented by quantity, fragments or parts, strictly necessary to make known their nature, species and quality. Starboard – Right side of the ship. Stern – The back of the ship. Semi trailer – Is the set formed by the monolithic body with a shaft and wheels. Is engaged in the truck or tractor for transportation, or shall be used as trailer, when engaged in a dolly. Is widely used in the transport of sugar cane. SGP – It is a program of developed countries of tariff benefits of total or partial exemption from import duty on products purchased from developing countries. Ship Broker – Acts as intermediary between shipowners or carriers by sea on the one hand and cargo interests on the other. The functions are to act as forwarding agent or custom broker, fixing of charters, and acting as chartering agent. Shipper – The merchant (person) by whom, in whose name or on whose behalf a contract of carriage of goods has been concluded with a carrier or any party by whom, in whose name or on whose behalf the goods are actually delivered to the carrier in relation to the contract of carriage. Sider – Type of truck body, that has retractable canvas on its side. SIL – Logistics Information System that provides the information specifically required for logistics administration subsidy at all hierarchical levels. Siscomex – Computerized and controlled by government agencies involved in foreign trade, which govern the activities of registration, monitoring and control of operations. Surcharge – An additional charge added to the usual or customary freight. Secondary zone – Includes the customs territory, excluding the primary zone, including territorial waters and airspace. Tare – Difference between gross and net weights, representing the merchandise’s packaging, the weight of the empty container, or the weight of the empty vehicle. TEC – Common External rate. TEU – Twenty Foot Equivalent Unit. Method of measuring vessel load or capacity, in units of containers that are twenty feet long. TKU – Ton per Kilometer. TMS – Transportation Management Systems. Transshipment – Unloading and reloading of the goods, during the course of the trip, always using the same means of transport. In the message SWIFT MT 700, it indicates if transhipment is prohibited or allowed. Trick – Is a powered hang glider that comes equipped with wheels and / or floats and fiberglass seats. Truck – Class of automotive vehicles of various sizes and designs for transporting goods. Tugboat – Small steam used to tow vessels or maneuver them safely in port areas. Tying – Setting loads on the vehicle or container, using different materials. Temporary export – Products output for a given time, with suspension of payment of taxes, including export, conditional upon reimportation in the State in which they were exported. Train – Vehicles which follow together to the same destination. Used primarily for security puposes; cars of ammunition and supplies that accompany military forces; train composition ( in Portugal). Transport Knowledge – Document issued by the carrier, based on the data of the Invoice, which informs the value of the freight and accompanies the cargo. The recipient signs the receipt on one of the copies. Temporary admission – Special customs that allows the importation of goods which are to remain in the country during a period of time, with total or partial suspension of import taxes. Thermal Container – A container built with insulating walls, doors, floor and roof by which heat exchange with the environment is minimized thus limiting temperature variations of the cargo. Waiver – Document issued by DMM (Merchant Navy Department), to that prescribed goods, that is to say, those imported with government benefits, may be transported in ship abroad in the absence of national flag ship. Wharfage -A charge assessed by a pier or dock owner against the cargo or a steamship company for use of the pier or dock. WMS – Warehouse Management Systems. Warehouse – A building specially designed for receipt, storage and handling of goods. Unitization – Is to add several packages or smaller packages to a larger unit load. Please contact sales@jspeed.com.br or the following data for details on the main airports, ports served and routes offered. The dimensions, weights and volumes reported below are averages. Inneeds of special event, please get them with your local office contact CAF. (20 ‘) by lifting up. Features: aluminum floor. Reinforced steel doors. Stainless steel shell. Plugin for power generation. Offers the best solutions for transport and logistics coordination to companies wishing to reach the international market, with high level of excelence. We know that the transit time is vital for air cargo, able to transport their cargo in the shortest possible time, safely, quickly and economically. Contracts with the main shipping companies in the world, ensuring precise transit times and regular departures, offering complete solutions in sea freight services. The Sea / Air service, available from Asia to Brazil, is an intermediate option between sea and air service, combining the low costs of ocean freight with the speed of air transportation. Take all your doubts about incoterms, containers, terms used in logistics. Get to know the ports and airports of Brazil. Perform currency conversions, weights and temperatures. Know the main airports in Brazil and the world. See the distance between major cities in Brazil. Get to know the World´s main ports. With offices in São Paulo, Santos and Manaus, is the exclusive agent in Brazil of Jet Speed Logistics Ltda. Founded in Hong Kong in 1967, the company specializes in international freight forwarding and offers the best transport and logistics coordination solutions to companies wishing to reach the international market with high levels of excellence. Our team has extensive experience in the international market, with flexibility to adjust logistics solutions to the real needs of customers. Strong partnerships with ship owners and airlines. Wide network of agents in Brazil and abroad. Agile and customized solutions providing better cost-effective operations. A mercadoria é colocada à disposição do comprador no estabelecimento do vendedor, ou noutro local nomeado (fábrica, armazém, etc. ), sem estar pronta para exportação ou carregada num qualquer veículo de transporte. Nesse termo, o exportador encerra sua participação no negócio quando acondiciona a mercadoria na embalagem de transporte (caixa, saco, etc.) e a disponibiliza, no prazo estabelecido, no seu próprio estabelecimento. Assim, cabe ao importador estrangeiro adotar todas as providências para retirada da mercadoria do estabelecimento do exportador, transporte interno, embarque para o exterior, licenciamentos, contratações de frete e de seguro internacionais, etc. Se a entrega ocorrer na propriedade do vendedor, o vendedor é responsável pelo embarque. Se a entrega ocorrer em qualquer outro lugar, o vendedor não é responsável pelo desembarque. Ressalte-se que o transportador internacional é contratado pelo comprador (importador). Logo, na venda “FOB”, o exportador precisa conhecer qual o termo marítimo acordado entre o comprador e o armador, a fim de verificar quem deverá cobrir as despesas de embarque da mercadoria. Esse termo só pode ser utilizado no transporte aquaviário (marítimo fluvial ou lacustre). Destaque-se que os riscos por perdas e danos na mercadoria são transferidos do vendedor para o comprador ainda no porto de carga (igual ao FOB, na “ship’s rail”). Assim, a negociação (venda propriamente dita) está ocorrendo ainda no país do vendedor. Esse termo só pode ser usado no transporte aquaviário (marítimo fluvial ou lacustre). Os riscos de perdas e danos na mercadoria, bem como quaisquer custos adicionais devidos a eventos ocorridos após a entrega da mercadoria ao transportador, são transferidos pelo vendedor ao comprador, quando a mercadoria é entregue à custódia do transportador. O termo CPT exige que o vendedor desembarace as mercadorias para exportação. O termo CIP exige que o vendedor desembarace as mercadorias para exportação. Esse termo pode ser usado em qualquer modalidade de transporte, inclusive multimodal. Este novo termo foi introduzido em substituição aos termos DAF, DES e DDU. Com sua aplicação, as mercadorias poderão ser postas à disposição do comprador (importador) no porto de destino designado, ainda no interior do navio transportador e antes do desembaraço para importação, como já ocorria com o termo DES, ou ainda, em qualquer outro local, como ocorria com os termos DAF, em que a entrega dar-se-ia na fronteira designada e DDU, em que a entrega seria realizada em algum local designado pelo próprio comprador (importador), todavia, em quaisquer dos casos, antes do desembaraço das mercadorias para importação. A responsabilidade do vendedor consiste em colocar a mercadoria à disposição do comprador, pronta para ser descarregada, não tratando das formalidades para importação, no terminal de destino designado, ou noutro local combinado, assumindo os custos e riscos inerentes ao transporte até ao local de destino. Este novo termo foi inserido, praticamente em substituição ao DEQ e – similarmente ao termo extinto, estabelece que as mercadorias podem ser colocadas à disposição do comprador (importador), não desembaraçadas para importação, num terminal portuário e introduz a possibilidade de que as mercadorias possam ser também ser dispostas ao comprador (importador) em um outro terminal, fora do porto de destino.O vendedor termina a sua responsabilidade quando coloca a mercadoria à disposição do comprador, não tratando das formalidades para importação, no terminal de destino designado, assumindo os custos e riscos inerentes ao transporte até o porto de destino e com a descarga da mercadoria. É o Incoterm que estabelece o maior grau de compromisso para o vendedor. Nesse termo, o vendedor somente cumpre sua obrigação de entrega quando a mercadoria tiver sido posta em disponibilidade no local designado do País de destino final, desembaraçadas para importação. O vendedor assume todos os riscos e custos, inclusive impostos, taxas e outros encargos incidentes na importação. Ao contrário do termo “EXW”, que representa o mínimo de obrigações para o vendedor, o “DDP” acarreta o máximo de obrigações para o vendedor. O termo “DDP” não deve ser utilizado quando o vendedor não está apto para, direta ou indiretamente, obter os documentos necessários à importação da mercadoria. Sabemos que o tempo de trânsito é vital para o transporte aéreo de cargas. Nossa experiente equipe realiza a análise de todos os detalhes envolvidos no processo de transporte e está capacitada a transportar sua carga no menor tempo possível, com segurança, rapidez e economia. Contratos com as principais companhias de navegação marítima do mundo, garantindo transit times precisos e saídas regulares, oferecendo soluções completas nos serviços de frete marítimo, em suas mais diversas modalidades: LCL (Less than Container Load), FCL (Full Container Load), Break Bulk e NVOCC (Non-Vessel Operating Commom Carrier). Para transportar sua carga com a agilidade que o mundo globalizado exige, oferecemos meios de transportes combinados. O serviço sea/air, disponível da Ásia para o Brasil, é uma opção intermediária entre o serviço marítimo e o aéreo, combinando os baixos custos do frete marítimo à velocidade do transporte aéreo. Por se tratar de um transporte multimodal que requer especialização, contamos com know-how de uma equipe com ampla experiência nesse serviço. Assessoria aduaneira, uma equipe apta para atender todas as exigências legais referentes aos processos de importação e exportação. Cientes de nossa responsabilidade na cadeia de suprimentos, estamos aptos a oferecer. Agenciamento de carga internacional por meio de diferentes modais de transporte (aéreo, marítimo e sea / air). Serviços especializados e com prazos de transportes definidos, para os casos em que há urgência na entrega ou a carga exija tratamento diferenciado. Estruturados e competitivos como os Global Players, mas com a flexibilidade de empresas de menor porte. Com a experiência e flexibilidade da Jet-Speed, sua empresa tem a tranquilidade necessária para crescer cada vez mais. A JS Logística de Cargas Ltda (Jet Speed), com escritórios em São Paulo, Santos e Manaus, é agente exclusivo no Brasil da Jet Speed Logistics Ltda. Fundada em Hong Kong em 1967, a empresa é especializada em agenciamento de cargas internacionais e oferece as melhores soluções de transporte e coordenação logística às empresas que desejam atingir o mercado internacional, com altos níveis de excelência. As indústrias, diariamente, enfrentam o desafio do abastecimento. Os consumidores e clientes de modo geral, buscam, cada vez mais, maior agilidade na negociação e esperam ter o produto disponível o mais rápido possível no ponto-de-venda. Para atender a essa cadeia de abastecimento, novas tecnologias e soluções têm surgido como ferramentas estratégicas nas operações de logística das empresas. Escolher a melhor delas, muitas vezes, significa vantagem competitiva para o fornecedor. É nessa hora que uma eficiente coordenação no agenciamento de cargas internacionais faz toda a diferença. Ações que possibilitem o cumprimento dos prazos de entrega nas datas acordadas e redução de custos, significam a manutenção de toda a cadeia e, consequentemente, sucesso e lucro nos negócios. A Jet-Speed atua de forma ágil e precisa nessa coordenação, apresentando soluções que reduzem os riscos de possíveis problemas. Nossa ampla experiência no mercado internacional, aliada a uma estrutura organizacional adequada, nos permite competir com as principais empresas do setor e trabalhar com mais flexibilidade, possibilitando ajustar nossas soluções logísticas às reais necessidades dos clientes. Oferece as melhores soluções de transporte e coordenação logística às empresas que desejam atingir o mercado internacional, com altos níveis de excelência. Sabemos que o tempo de trânsito é vital para o transporte aéreo de cargas, estamos capacitados a transportar sua carga no menor tempo possível, com segurança, rapidez e economia. Contratos com as principais companhias de navegação marítima do mundo, garantindo transit times precisos e saídas regulares, oferecendo soluções completas. O serviço sea/air, disponível da Ásia para o Brasil, é uma opção intermediária entre o serviço marítimo e o aéreo, combinando os baixos custos do frete marítimo à velocidade do transporte aéreo. Equipe apta para atender todas as exigências legais referentes aos processos de importação e exportação. Tire todas suas dúvidas sobre incoterms, containers, termos utilizados na logística. Conheça os portos e aeroportos do Brasil. Com escritórios próprios em São Paulo, Santos e Manaus, atua no Brasil desde 2007, é especializada em agenciamento de cargas internacionais oferecendo soluções de transporte e coordenação logística com altos níveis de excelência. Nossa equipe possui ampla experiência no mercado internacional, com flexibilidade para ajustar as soluções logísticas às reais necessidades dos clientes. Sólidas parcerias com armadores e companhias aéreas. Ampla rede de agentes no Brasil e no exterior. Soluções ágeis e personalizadas proporcionando melhor custo benefício às operações.